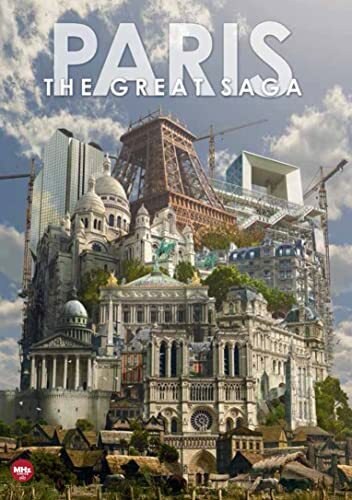 Paris: The Great Saga - BUY THIS DVD! Paris, 5,000 years of History: an exclusive journey through time with breathtaking aerial images and 3D animated CGI combined with fictional reenactments. A story told through the events and by the people who shaped its destiny, highlighting a unique architectural heritage. Revisit Frances historical milestones as Paris became its capital city and watch how its urbanism developed, before your very eyes. The story of the City of Light unfolds as never seen before, providing the audience with a genuine immersive experience in this fascinating documentary. THEN SEND IN YOUR NAME, ADDRESS AND 5 COMMENTS TO contests@efilmcritic.com. Put "HONEY, WE'RE TAKING A VIRTUAL VACATION" in the subject line and cross your fingers. We will draw names and a winner shall receive a prize package. Only 1 entry per household.